Josef Lada (1887 – 1957) was a Czech painter, drawer, illustrator and writer. 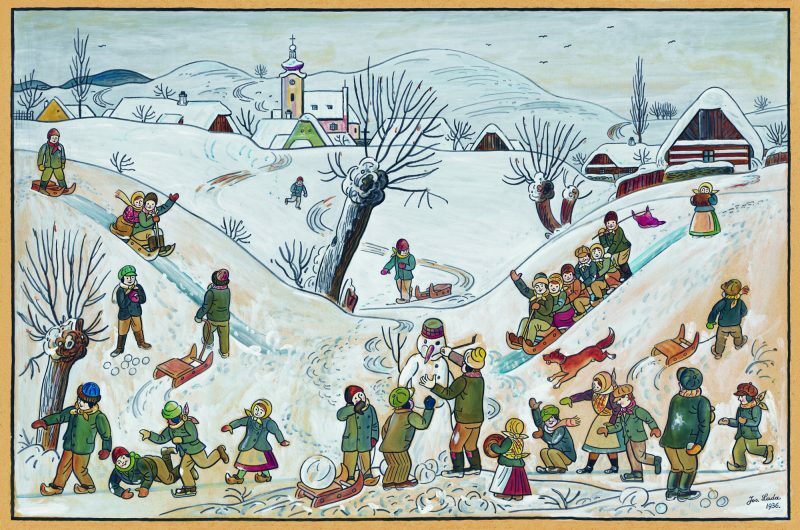 In his works he focused on a stylized picture of the Czech village with a humorous, almost parodic atmosphere. Among other things, he is the author of one of the most subdued Czech winter and night landscapes, as well as book illustrations, such as the well-known work of Dobrý vojak Švejk (Good Soldier Švejk). The exhibition will also feature a selection of his children’s books – Bubáci a hastrmani, O chytré kmotře lišce, or Ladův veselý přírodopis which he himself wrote and illustrated.